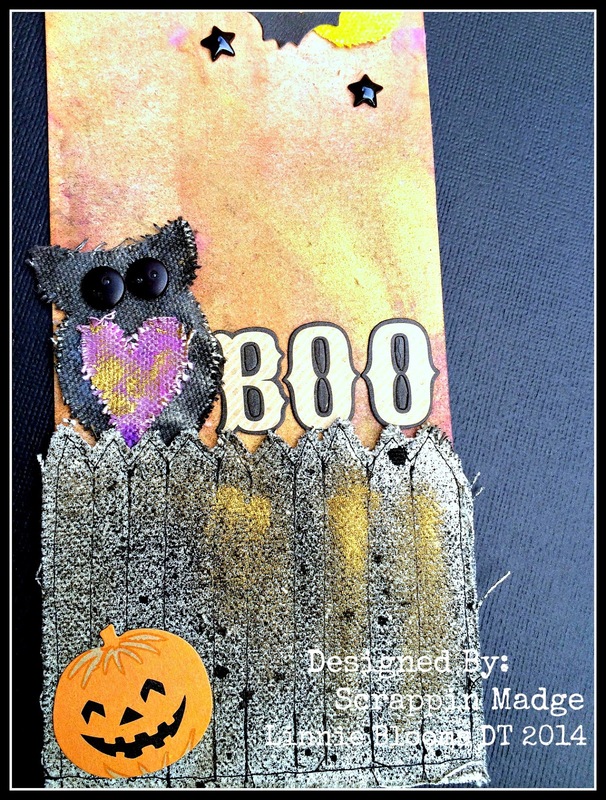 Linnie Blooms Design Team Blog: Boo.... Did I scare you??? Hey, Hey everybody it's me Scrappin Madge!! 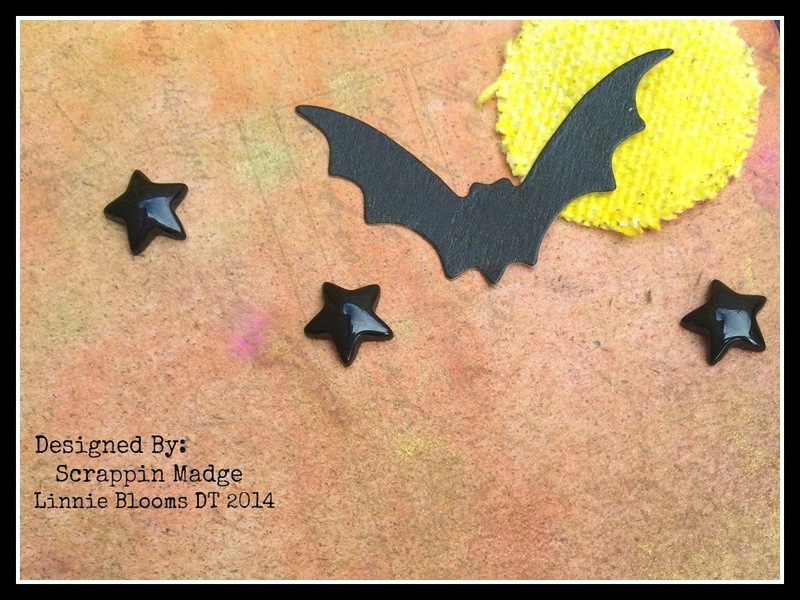 Today I am super excited to share with you a fun Halloween Tag that I created using the amazing Linnie Blooms Canvas Shapes and Canvas Fence!! I absolutely love how it turned out!!! I used a Prima Tag (which is great to use spritz, Gellatos and watercolor on) I allowed it to dry. Then I used the Heidi Swapp color shine and spritzed the Owl and the Fence Black. I then set them to the side and Used yellow Gellato on the Canvas Circle to make a moon. I then took a canvas heart and used the Heidi Swapp Color Shine purple and mixed it with some yummy purple gellatos. After everything was dry I started to piece my tag together. Here are a couple other pictures of this tag. 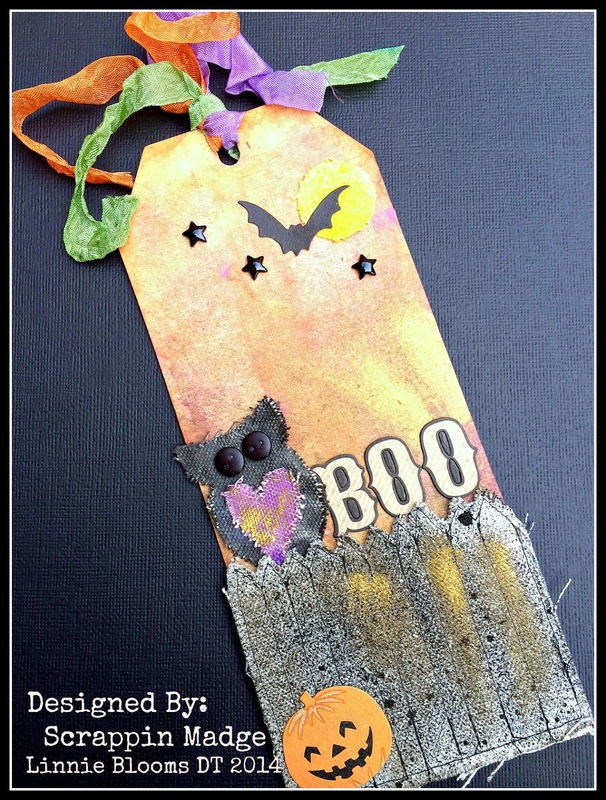 Be sure to check out my blog for more info on how I created this super fun tag, along with all of the items used. Goodness! What a great project, Madge! Super cute and fun tag! Love it!